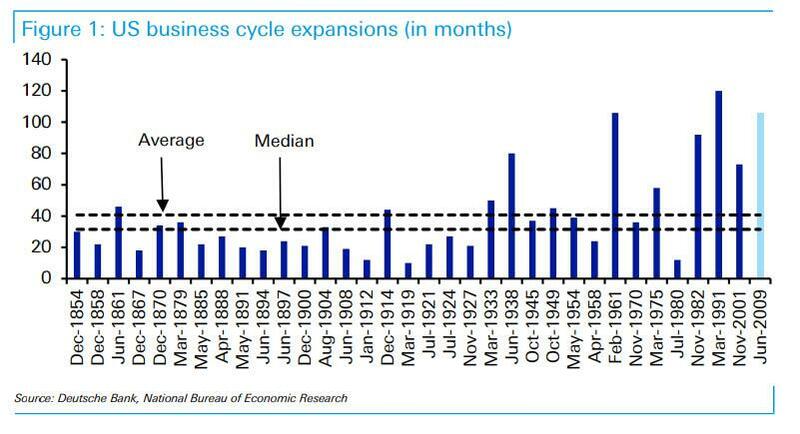 With the current economic expansion now in its 109 consecutive month, and rapidly approaching the longest expansion in history with yield curve just 25 bps away from inverting, the two questions asked by most investors are i) are we "late cycle", and ii) when does the next recession begin. Where should one look for the answer? 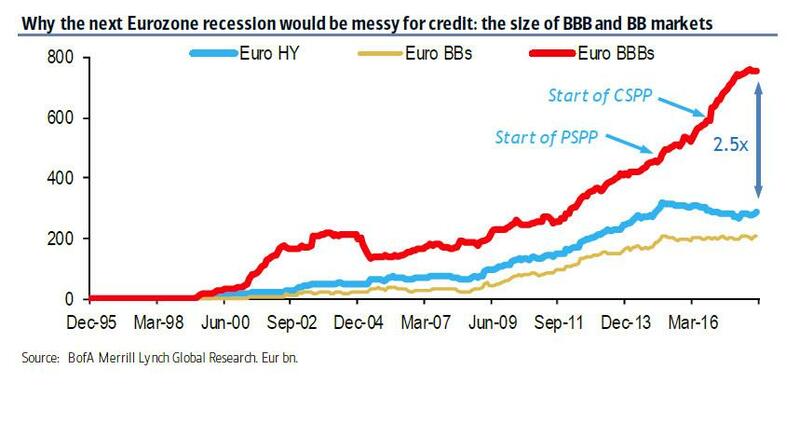 Since equities are notoriously late in spotting economic inflection points - and usually do so violently, and in the context of a market crash - the best option is credit. 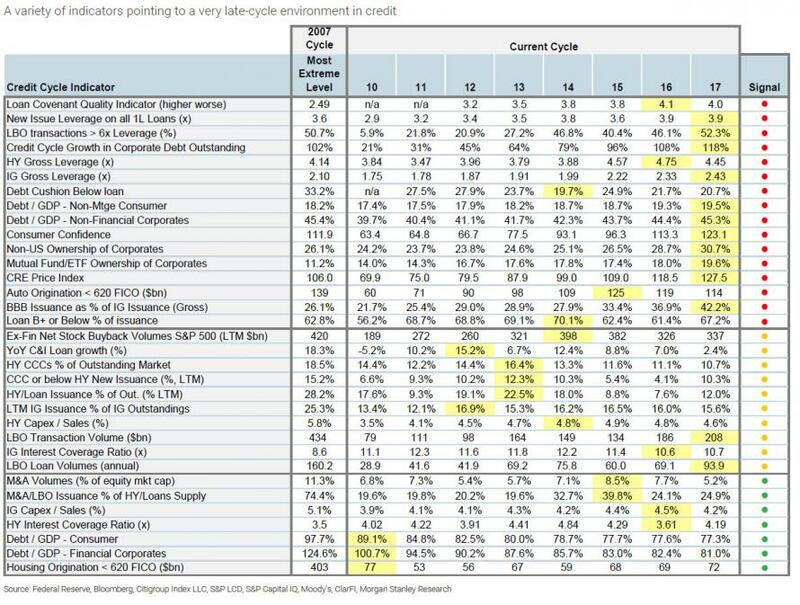 And while there are no clear signs of a turn in the credit cycle yet, some long term investors are already planning for it. 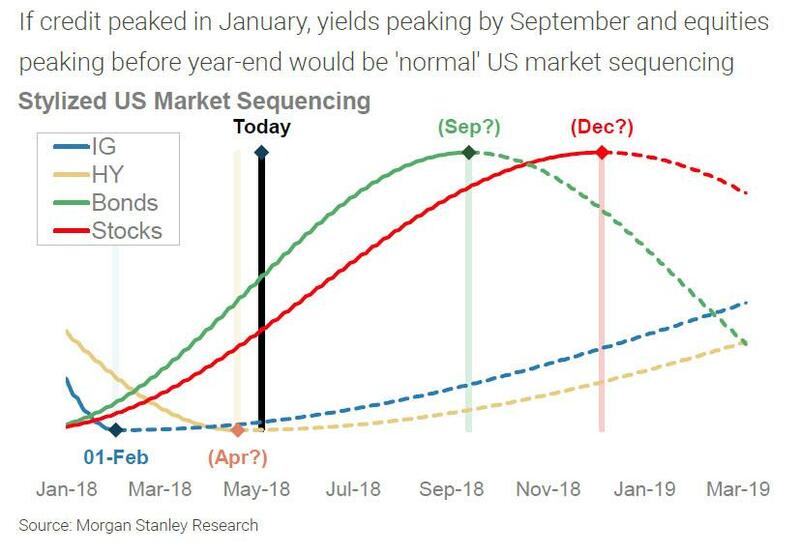 Just as important, when the next credit cycle turns, it won't be contained solely to credit: there are extensive, and just as important, contagion channels which will be triggered with broad impacts on the general economy. How should investors position portfolios defensively when all the signals flash red? Here are some thoughts on the question du jour, from UBS' chief credit strategist Matthew Mish. We have documented the significant easing of lending standards and robust debt growth across FHA, student and auto loans; and we have estimated that among our proprietary categorization of 'stressed consumers' holds total debt of about $1.5tn (vs. 1.8tn in '07, $0.6tn in '01, (Figure 16). As a result, Mish believes that the key threat in a negative shock to labor or credit markets for 'stressed consumers' is not a debt crisis, but a consumption risk. While 'stressed consumers' only account for $1.5tn or 11% of total household debt (resi, consumer), they account for a much greater share of consumption. 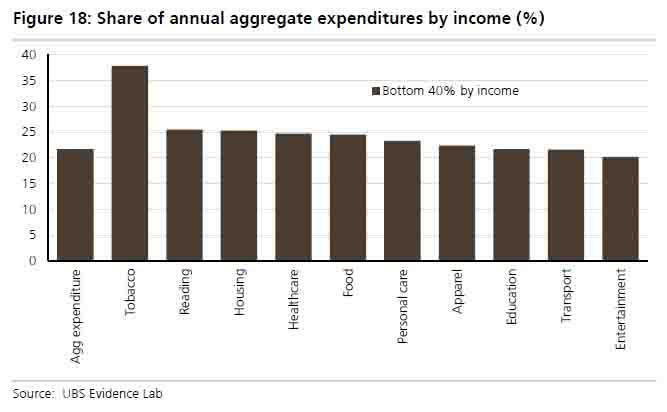 As we showed last summer, once again using UBS analysis, much (but not all) of the 'stressed consumers' fall into the bottom 40% of consumers by income. And BLS data suggests this cohort holds $1.4tn in debt (11%), but comprises 22% of personal expenditures.